Your foundation, while strong and stable, is vulnerable to damage caused by excess water. Over time, water can wear away the material of your foundation and affect the ground around it, leading to serious cracking, shifting, and settling that requires professional foundation repair to address. 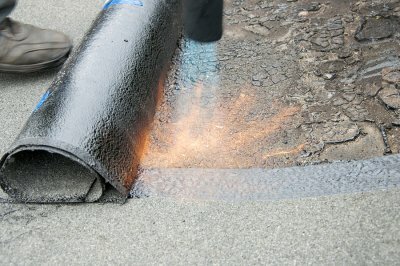 If you are suffering from a water problem affecting your foundation or basement, the success of your waterproofing solution will depend on a combination of barrier and drainage solutions; your professional contractor in San Antonio will examine your home and its existing drainage to determine how improved drainage will protect your foundation from future damage. Proper drainage is essential for a healthy foundation. When water is allowed to pool around your home, it will affect the ground and the materials that make up your foundation. This excess water is the cause of cracking and deterioration of the foundation itself, while also destabilizing the earth that supports your foundation and your home. Proper drainage will prevent water accumulation in the area immediately around your home, instead funneling it away from your house so it cannot cause wear and tear on your foundation. Basement flooding is a common problem in homes across the country. A wet basement can increase your risk for developing a mold problem at home, while flooding can also damage any items you have stored in your basement, including HVAC and water heating equipment. Proper home drainage will eliminate the risk of basement flooding and is a frequent component of the basement waterproofing process. Investing in drainage correction is a cost-effective and long-term solution that will protect the value and condition of your basement, as well as the belongings it contains. If you’re suffering from basement flooding and foundation damage, drainage correction can put an end to these problems. The general contractors you hire to complete your foundation repair will consider all the causes of your foundation damage to take the proper steps to address this issue.